Challenger regions across the UK vie for London's spot as the country's tech capital. While London is seen as the UK's tech hub, a new research report from Vodafone's Perspectives Series sheds light on how a growing number of 'challenger regions' have emerged across the UK. To better understand the UK's challenger regions, Vodafone UK surveyed 500 small and medium businesses to collect information for its latest report entitled 'Three keys to building a successful business from the UK's Challenger Cities'. Vodafone found that business growth is soaring outside the capital and over the last 12 months, the South East, East & East Midlands and North East & Yorkshire have all outperformed the capital in terms of proportion of businesses that have achieved revenue growth, profitability growth and employee growth. The North West was even able to achieve greater profitability growth than London. The North West is leading in productivity with 20 per cent more productivity than London. Business leaders in the region are confident this growth will continue and that they can increase both market share and profitability by an additional 20 per cent during the next year. The report also revealed that business confidence is incredibly strong in the North. When questioned as to whether they have the resources and environment they need for business success, SME leaders in the North were more positive than those in London. In the North West and North East, 75 per cent and 71 per cent respectively said that they find it easy to recruit employees with the necessary digital and technology skills. In the North East & Yorkshire, 75 per cent of business leaders think their area is a great place to do business with Leeds reaching an impressive 85 per cent. In the North West, 77 per cent of leaders think they have the low overheads they need while in the North East this number was 63 per cent. The business leaders surveyed by Vodafone believe that three major factors underpin success: a strong digital infrastructure, a local client base and the availability of local support from central and local government. 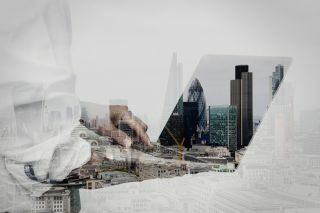 London will not lose its spot as the UK's tech capital this year but if this trend continues, it could very well be overshadowed by the country's challenger regions in a few years time.